Putin is determined to "break the monopoly of the Anglo-Saxon mass media" in international news reporting, according to an article in the online English language edition of Der Spiegel. An unending flow of money from the Kremlin and an ever-present anti-American theme has drawn millions of viewers to Moscow's best funded media propaganda tool, the international TV broadcaster RT, originally known as Russia Today. It has millions of viewers around the world and already is the top foreign news broadcaster in New York, San Francisco, and Chicago. Its budget has grown from $30 million at its inception in 2005 to $300 million, and pays for 2,500 employees, 100 of whom work in Washington, D.C. Earlier this year RT hired Larry King, whom Der Spiegel described as "a legend of American radio and TV journalism." RT uses a wide variety of special effects, including computer animation to liven-up their broadcasts, a far cry from the stiff Soviet era shortwave broadcasts of Radio Moscow. The message, however, is much the same: anti-Western and especially anti-American propaganda. The target audience consists of those who either already hate America or who see America as an over aggressive global bully. Surprisingly, this view is also echoed among some U.S. conservatives who take a highly critical, even a one-sided, view of U.S. actions in the world. Some in the American conservative movement have called into question the anti-missile system in Poland, NATO expansion into Eastern Europe, and the concern over Moscow's actions in several trouble spots in the world. Let us first recall that the fall of the Soviet Union was to bring forth a democratic Russia, which would have been a truly historic event of the greatest magnitude. Boris Yeltsin promised as much in a stirring speech in 1992 before a joint session of the U.S. Congress. In reassuring the American people and the world that communism was indeed dead in Russia, he declared that "Russia has made its final choice in favor of a civilized way of life.... Liberty will not be fooled. There can be no coexistence between democracy and a totalitarian state system." The reality has been tragically different. As the Soviet Union collapsed, pro-Moscow cronies seized power in the newly established nations arising from the USSR. Russian commercial entities fell into the hands of the well-connected, and murder became a common business tool. 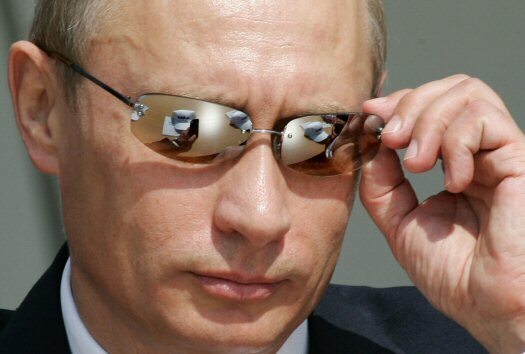 In 1999, Yeltsin handed Russia over to "ex"-KGB spymaster Vladimir Putin, and any hope of a "new" Russia crashed. A blossoming free press was ruthlessly crushed, and now Russia is one of the most dangerous places to be a journalist. Russia is again a totalitarian nation. Moscow's foreign policy has maintained an unexpected similarity to that of the defunct Soviet Union. Moscow has maintain ties with Cuba, and supported whenever possible Communist rule in Cuba. When Hugo Chavez brought "21st Century Socialism" to the unfortunate people of Venezuela, Moscow not only sold him weapons but provided Chavez with a platform at one of its most prestigious universities to expound on his ideas of world socialism. Moscow has supported every regime hostile to the United States from Cuba to North Korea, which includes the Islamic Republic of Iran. Moscow also has been the earliest and most ardent supporter of China's decades-long program to build a world-class military which could rival that of the United States. Russian president Vladimir Putin recently gave enthusiastic praise and support to the military cooperation between Russia and China, and Putin's Russia, of course, is engaged in its own military buildup and modernization. As for NATO's expansion, Russia has been a member of the Partnership for Peace program since 1994, and a Russia-NATO council has been in operation since 2002. There has even been talk of Russia joining NATO. The nations of central and eastern Europe welcome NATO because the memory of Soviet occupation is still fresh, and the reverie for the Soviet era among many Russians is unsettling. The anti-missile systems to which Buchanan refers would have no chance of stopping or in any significant way lessening a mass missile attack from Russia. There is one final point that must be made. Today's Russia is not the nation Boris Yeltsin promised the world in 1992, a nation which would turned its back on totalitarianism. Putin's Russia is a land dominated by a spy elite which traces its beginnings to the bloody Cheka secret police of Lenin's Soviet Russia. Russia under Putin is a land where the mass murder Josef Stalin is rehabilitated and the and the Russian army continues to proudly bear the symbols of the old Soviet Red Army. Russian warplanes, it may be noted, still display the Red Star. Whatever mistakes the United States has made in relation to post-Soviet Russia, they pale next to the policies initiated by the Moscow elite in their march toward what appears to be an increasingly neo-Soviet future. No one in America wants another Cold War, but there is every indication that we are already in one. Mr. Westerman is the editor/publisher of International News Analysis Today (www.inatoday.com ).